The following are testimonials from some of our clients. My experience with Dr. Rice over the years has been profound. She brings wisdom, kindness, compassion and incredible insight to her work. Her experience and success with holistic treatments is unparalleled. 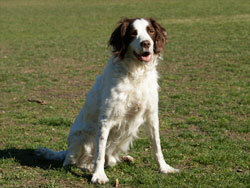 I have witnessed first hand through my pet the positive benefits of holistic medicine. Dr. Rice saved my dog's life and helped give her a long and happy life. I will be forever grateful to Dr. Rice for her wisdom and courage to follow her path. I'm a believer, and it couldn't have been easy for you! You were up against my "view of the world!" As an individual with a math and science background, I was a bit extremely skeptical of your approach to veterinary medicine. How can someone diagnose complex health issues through muscle testing? You came into my home with handfuls of vials containing pine trees, grasses, red meat, tomatoes and wind (?) to name just a few. I was instructed to drink plenty of water and certainly no caffeine so I could be the "conduit" for testing Bristen in an effort to find the source of her health issues. Well, at that point, I was open to anything..
Bristen now has two vets, and the two of you are getting along quite nicely! I think you may have converted her a bit, as well! Where traditional medicine was at its limits, the holistic approach truly identified and treated the source. I didn't understand your methods, I was skeptical of your approach, but I am now one of your biggest promoters, because after all, you saved Bristen's life! For that, I am truly grateful. I have been given four more (and counting) years of love and joy from my companion. Bristen's personality was returned, her energy level back and the seizures stopped. Your holistic approach to veterinary medicine takes into account the "whole" being. It works. . . I am a believer. Thank you! Daffy is a mini dachshund and went down with ruptured disks. MSU did surgery when she was 5. She came out paralyzed, and incontinent. I ordered a K-9 cart for her and made the decision to take care of her. After about 9 months I found Dr Rice. We started a very aggressive program of acupuncture, a change of diet, and some different supplements. It was only a few weeks into the treatment that Daffy was on her feet and wallking. Dr Rice suggested exercises and water therapy, which increased her muscle tone and she began to run, potty control returned, and her tail came up and wagged. Daffy is now, 14 1/2 and a very happy, healthy little girl. We are still doing acupuncture, as she has just recently become very lame, due to her age, I believe. I am thankful that we have a vet who can offer alternative treatments; I believe that sometimes westem medicine may not provide the best treatment for quality of life. Our first cat Nicholas got FIP, a fatal disease. Dr. Rice provided us information about the progression of the disease and offered options for treatment. We decided to try acupuncture to help him with his energy. Given my Asian American culture, I was aware of the benefits that acupuncture can have for humans for certain medical situations. However, I was not familiar with its use on cats. We were very pleased with the outcome for Nicholas. Dr. Rice gave him treatments about every month and a half. Towards the end of his second year, the treatments were about a month apart. After treatments, Nicholas would play like a kitten; his quality of life seemed to be lifted. I gather he had a more than average length of life after diagnosis because he lived about 2 years after we learned about his having FIP. I have been trained in science as a community psychologist. I conduct research using experimental methodology. I am fully behind the scientific methods. Equally, I have in my personal life had a positive experience with Dr. Rice's holistic approach to her practice. Our cats have benefited from her services, and we have appreciated her responsive, thoughtful alternatives, particularly when a pet has a chronic condition or terminal illness. Her approach involves family considerations as well as the quality of life for the pets. We have been blessed to have Dr. Rice as our vet for almost two decades. 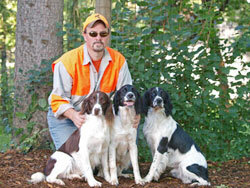 Torrey, my first springer had many issues including poor coat and aggression. My vet at the time told me nothing was wrong after running several hundred dollars of tests. We sought out Dr Rice and went through the VAET program. Torrey turned into a completely different dog the last 3 years of his life. The aggression went away and he had a coat for the first time. Dr Rice treats my dogs as the athletes they are and helps me manage the needs of my current crew. I feel they are always at the top of their game. By working working with Dr Rice I have become more in tune with my dogs and feel I have a compeitive edge. I learned of Dr. Rice from a friend of mine who had a dog with nasal sarcoma. She was feeding her dog a special natural diet and wanted to have acupuncture done because the dog also had arthritis. I volunteered to come with her while she was having Dr. Rice perform the acupuncture and I had a chance to talk to Dr. Rice at length and observe the effects of these alternative medicines and procedures on my friend's dog. I subsequently brought my dogs down for acupuncture and have since taken them off all pain medicine. I've been very encouraged by the success of the procedures I've had performed on my dogs. It's still a bit early (six months of sessions) but my two female Labs, six years and ten years are more alert, moving better and much more comfortable. Our present dog, Sable, is an Akita that also has difficulty with her hind quarters. lt is hard for her to get up and walk around and she all lost control of her bowels. X-rays show fusion in her spine. Again, conventional medicine and medications have not been too helpful. After three acupuncture treatments and with nutritional advice, Sable is more active, is back to being playful and is handling her bowel movements better. Our experience has been that acupuncture in conjunction with conventional meds has been much more helpful than just the medications alone.